The threat of divisive ideologies promoted by Islamists hangs over the 17 April elections. Boycotting the vote is likely to favour the most conservative groups. Archbishop Suharyo mentions Catholic political legacy in the history of Indonesia. 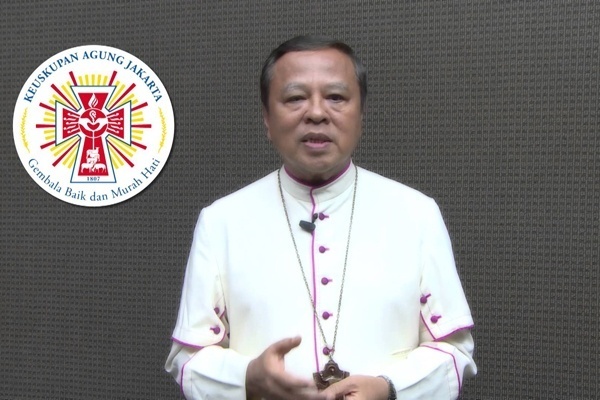 Jakarta (AsiaNews) – The vote of young Catholics will "really count" in the upcoming elections, this according to Mgr Ignatius Suharyo Hardjoatmodjo, archbishop of Jakarta and president of the Catholic Bishops' Conference of Indonesia (KWI). The prelate spoke in a video message (see below) that reiterates the Church's appeal to its members to vote on 17 April. About 192 million Indonesians are eligible to vote in 34 provinces for the country’s president, vice president, lower house of parliament (DPR) and upper house of parliament (DPD). It will be a "critical day" for the young democracy, whose future is overshadowed by divisive ideologies promoted by Islamists. In fact, according to some analysts, pluralism and fundamentalist Islam are facing off in this election. For this reason, not voting or spoiling the ballot (golongan putih or golput) can become a political tool that those who defend the country’s unity fear. Such pessimism is not unfounded. A few days ago, 32 national organisations met to urge their members (around 30 million) not to vote. They include trade unions, student associations, and groups that promote the rights of indigenous peoples and the environment. The reason behind this stance is disillusionment with the current president, the moderate Joko "Jokowi" Widodo; at the same time, they don’t trust his main rival, former army general Prabowo Subianto. Charges of human rights violations during his military career hang over him but he is backed by conservative groups. In recent weeks, Catholic Church leaders have repeatedly urged Catholics to get involved in the country’s future, and cast their ballots for capable candidates avoiding a self-interested vote. In his video message, Mgr Suharyo emphasises Catholic "political legacy", which finds expression in a strong nationalist sentiment. The Church's contribution to the country’s birth began well before independence from the Netherlands, the archbishop notes in his video. On 28 October 1928, nationalist youth groups agreed to the Sumpah Pemuda, the "Youth Pledge", at a congress in Central Jakarta. In the declaration, they proclaimed the ideal of ‘one motherland, one nation and one language’, which played a leading role in the development of the political and philosophical foundations of the State. The first session of that historic congress was held in the building of the Katholieke Jongenlinen Bond, the Young Catholic Union. The prelate ends his message by providing young people some "guidelines" to ensure that the country will improve social conditions.